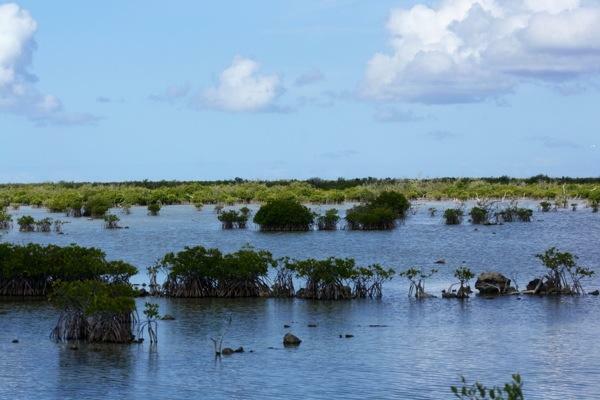 The highlight of Great Inagua is the National Park, which spans 287 square miles on the island. 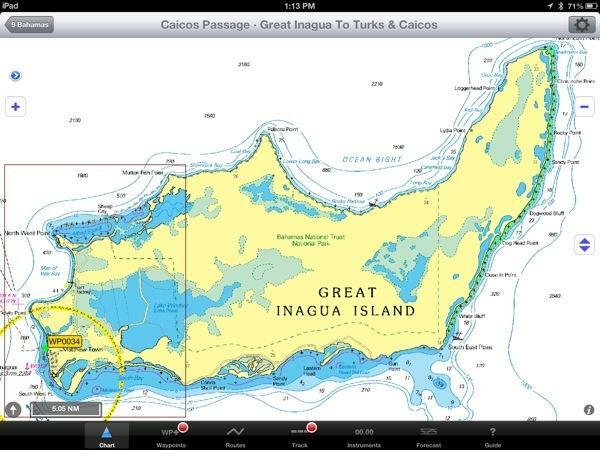 You can see the outline of the park on the chart view of Great Inagua Island. 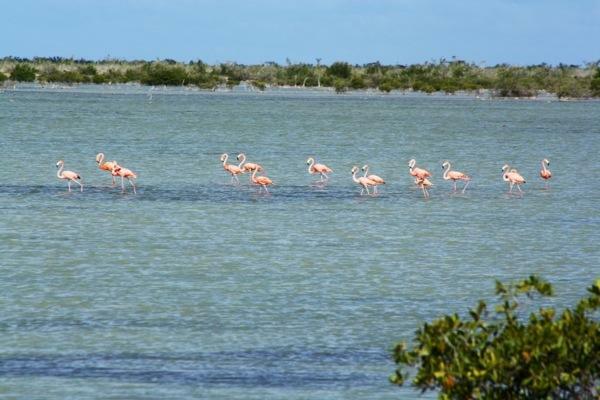 The park is known for its birdwatching; in particular the park is home to the world’s largest colony of 50,000 West Indian flamingos. 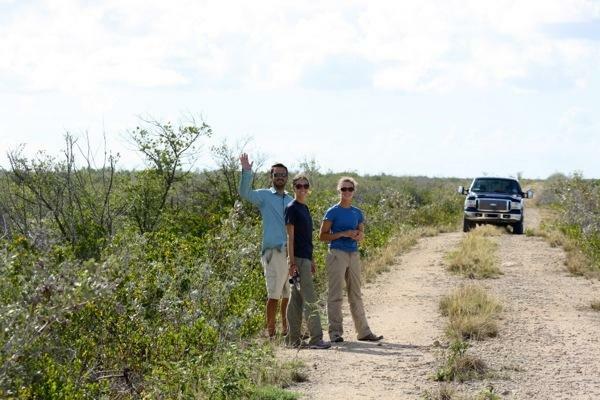 We were fortunate that park ranger, Henry, was willing to give us a driving tour of the park on his Saturday morning. 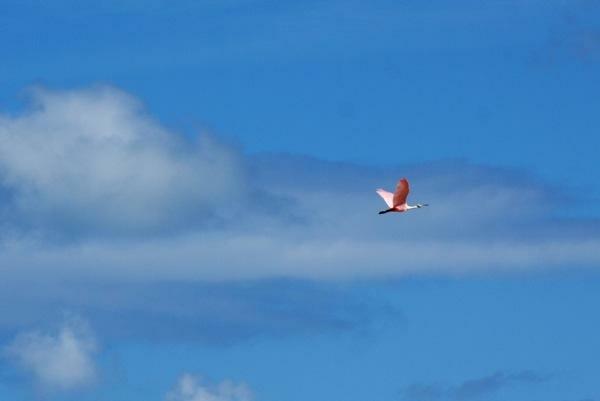 We met him at 8am and set out bouncing along down the park roads in search of flamingos. Henry turned up the radio for us to hear a shout-out from DJ, George. 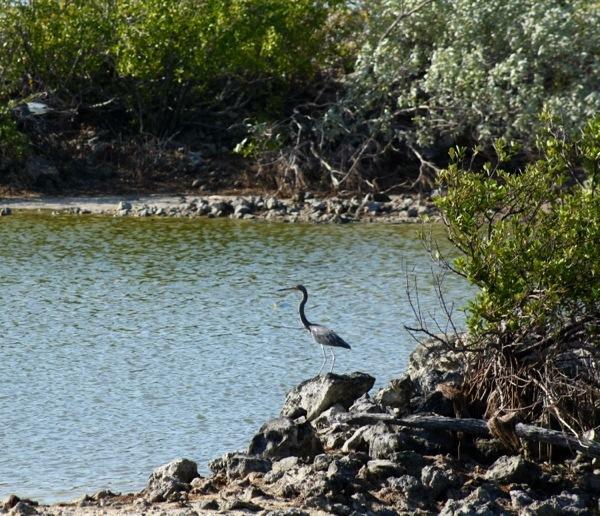 We’d met George the previous night and he shared a wealth of history with us about Inagua. 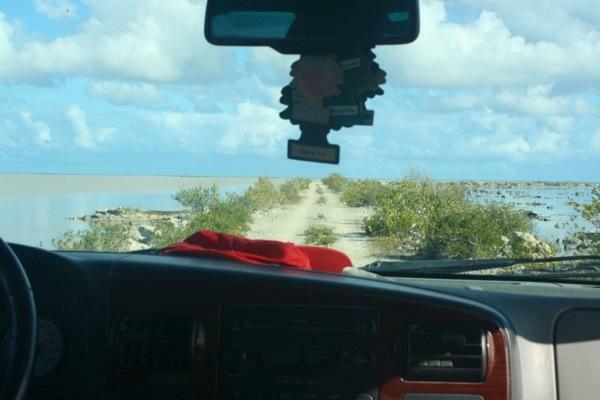 From 106.1 we heard George wish us a good time seeing the birds on our “Bahamian safari…” with his “good friend and classmate, Henry…” Thanks George! Wish we could still tune-in. We weren’t disappointed. 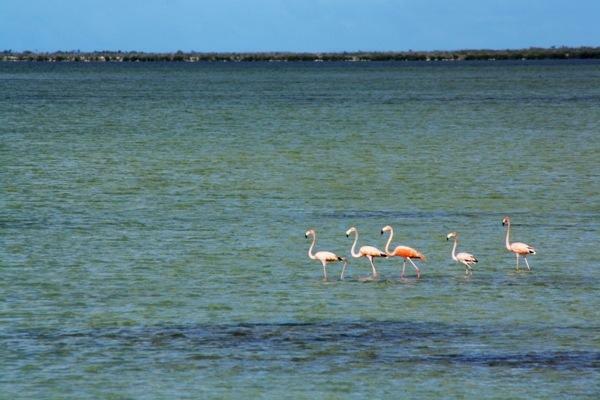 There were flamingos in every direction…but they were skittish! 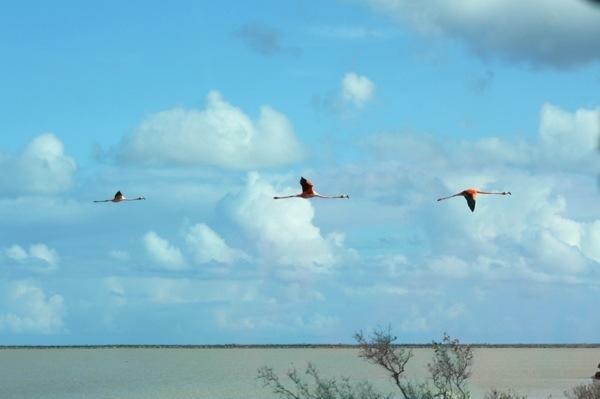 The farther into the park we drove, the more flamingos we saw. It was neat to see them in their natural environment. 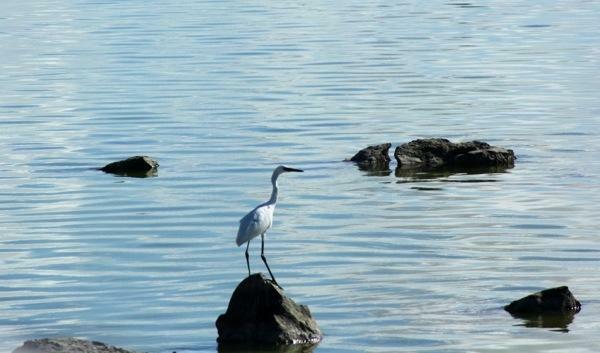 We also saw tri-color herons and egrets. 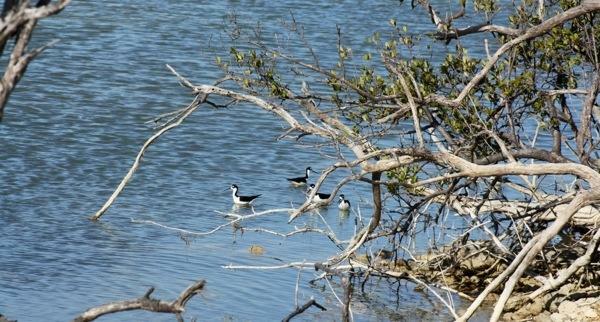 We saw black necked stilts. 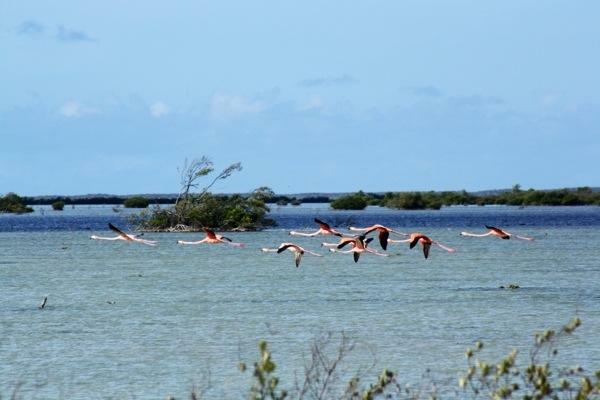 And of course more flamingos. 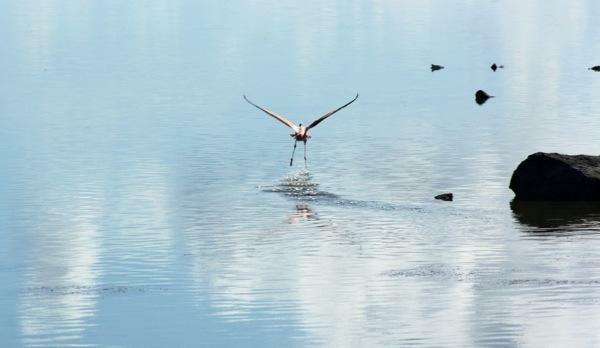 They really do obtain their beautiful pink feathers from their diet of red algae. Henry pointed out some juvenile flamingos, you can see they have more white feathers and their pink hues are in various stages. 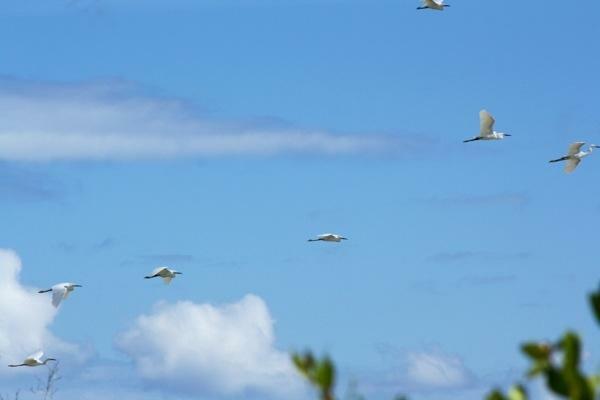 Henry pointed out spoonbills when he spotted them flying overhead. Thanks, Henry! We enjoyed the park! 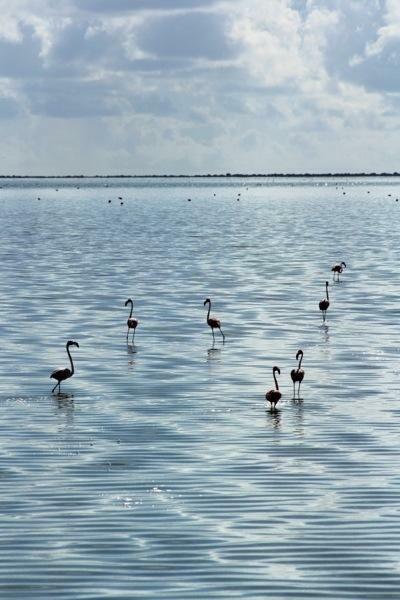 This entry was posted in Uncategorized and tagged bahamas, flamingos, great inagua, inagua national park by stephanie. Bookmark the permalink. OMG!!!! How awesome is that? I want to go there for sure!!!! THANKS FOR SHARING! 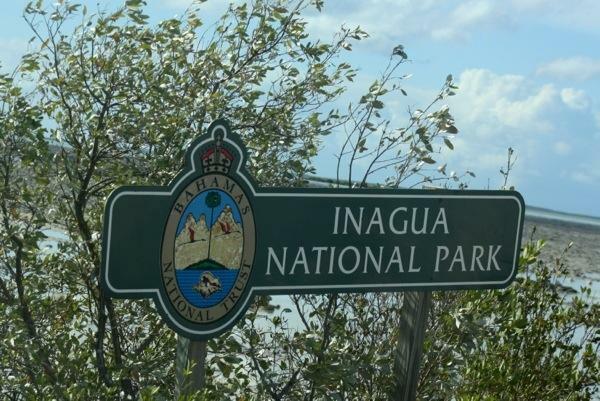 Is Great Inagua still mostly owned by Morton Salt Company? Now Reginald, eat your algae and stay away from that blue stuff,only the red, are you paying attention now? where are the iguanas :(?